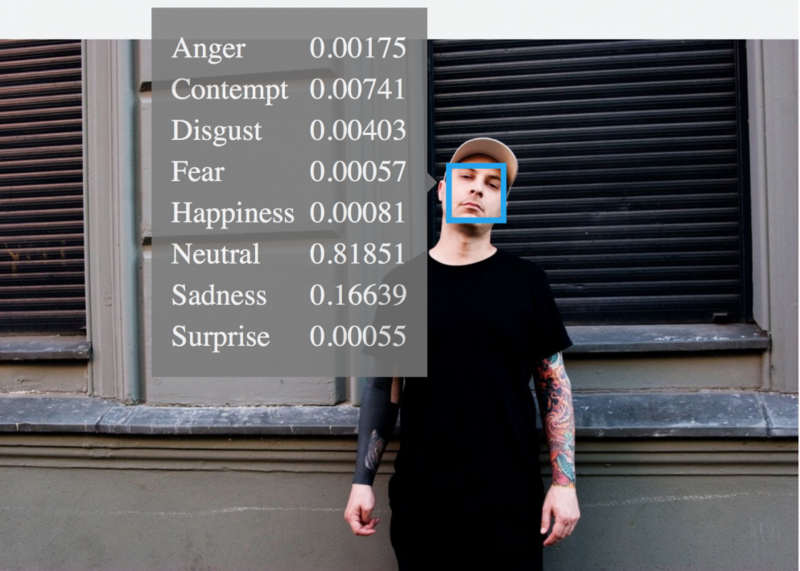 Can Microsoft Help Us Read Artists’ Emotions? 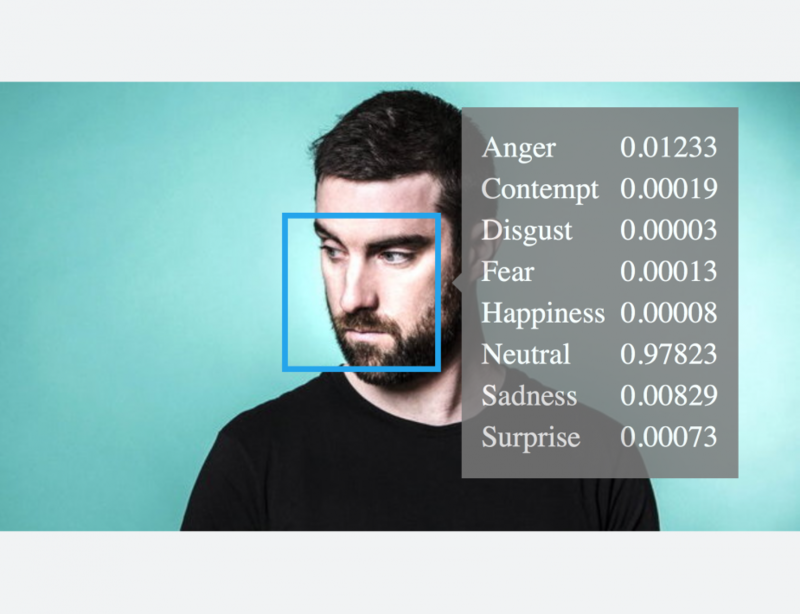 Microsoft recently stirred the internet by releasing a beta version of facial recognition technology on its Project Oxford site that attempts to read emotions from pictures. 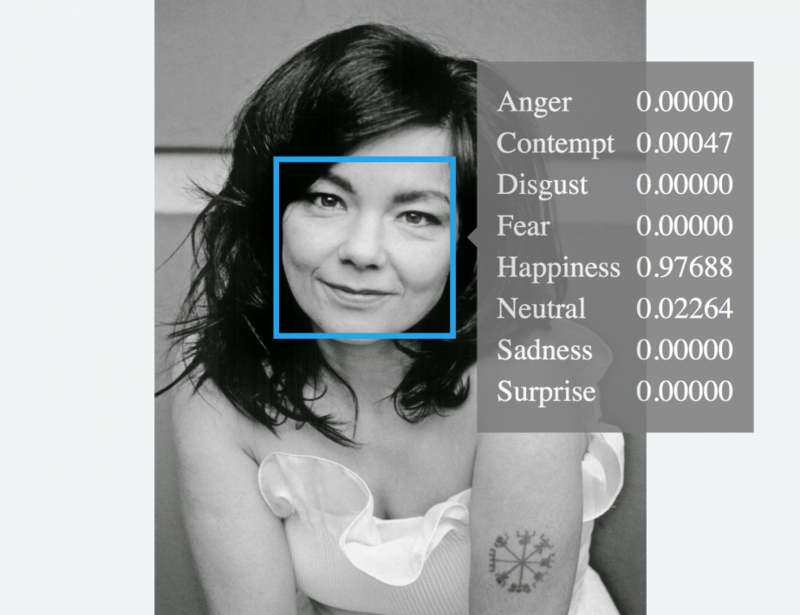 Users upload photos and the system evaluates the depicted face based on eight emotions: anger, contempt, disgust, fear, happiness, neutral, sadness and surprise. 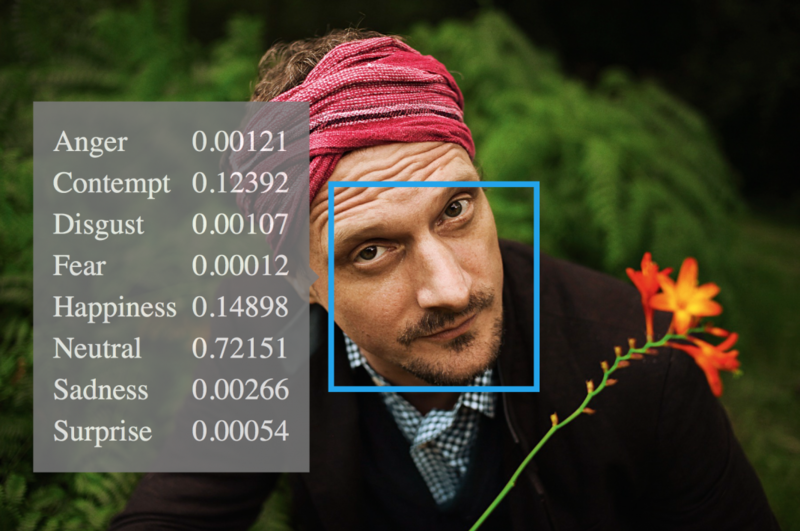 I decided to run press photos from prominent figures in electronic music through Project Oxford to see if Microsoft’s world-class machine learning techniques can give us any insight into their inner selves. 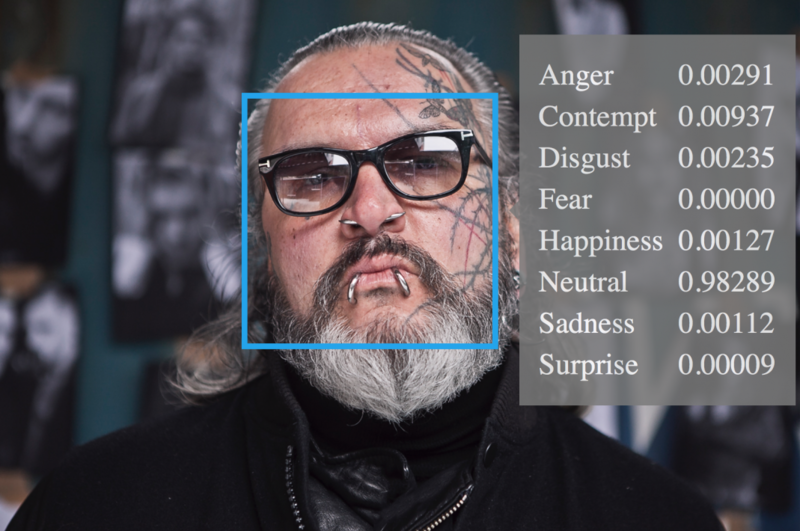 Sven Marquardt literally shows zero fear. Levon Vincent’s emotions range from contempt to fear. Sounds like a match. Grimes shows a very modest palette of emotions in her recent press shot. Except for the red eyes. 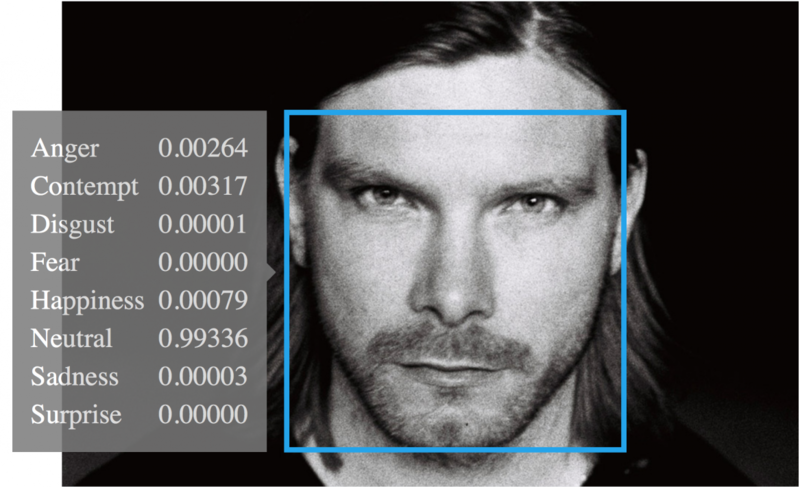 Marcel Dettmann is almost 100 percent neutral with a little anger and a wee bit of disgust. DJ Koze feels it all. 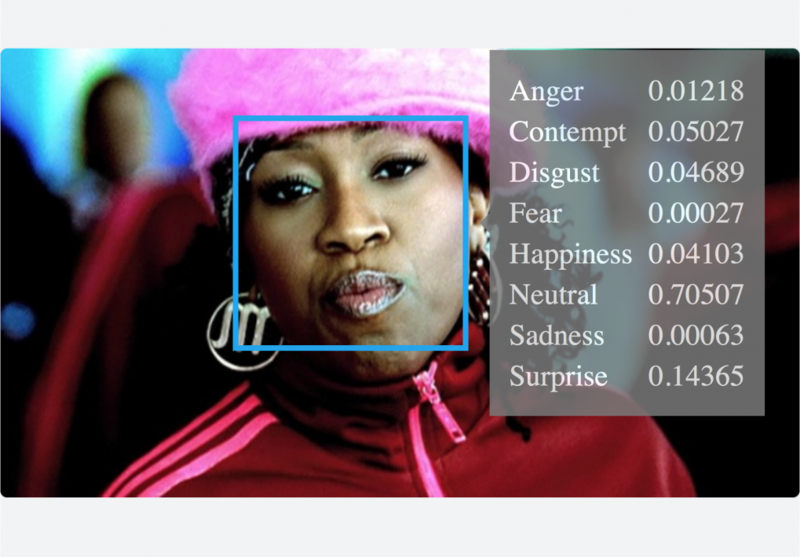 Missy Elliott’s emotions almost match to the dot. 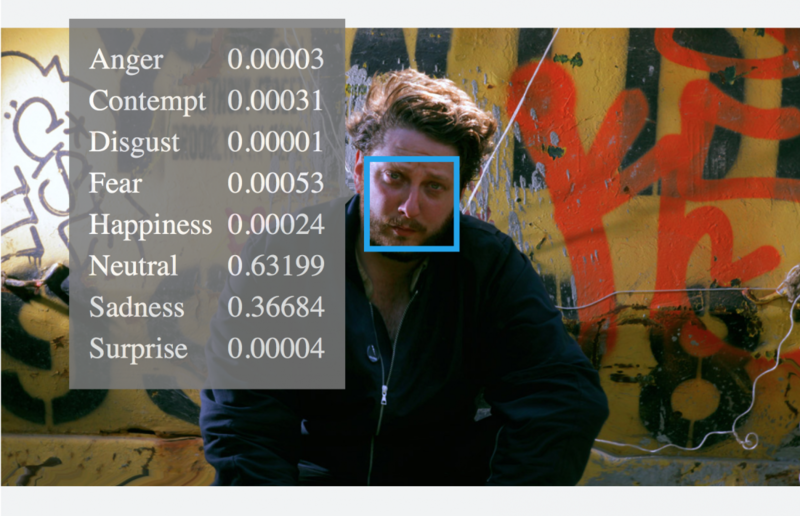 Oneohtrix Point Never seems sad.